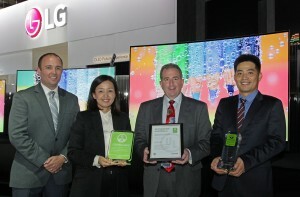 At the 2015 International CES on January 8, LG Electronics USA and UL Environment met to celebrate the achievement of GREENGUARD Certification for LG 4K ULTRA HD OLED TVs. Televisions products are leaving increasingly more significant impacts on the environment. Recognizing this, LG Electronics has been continuously introducing a full range of innovative, greener products and services as part of its effort to develop green innovations. 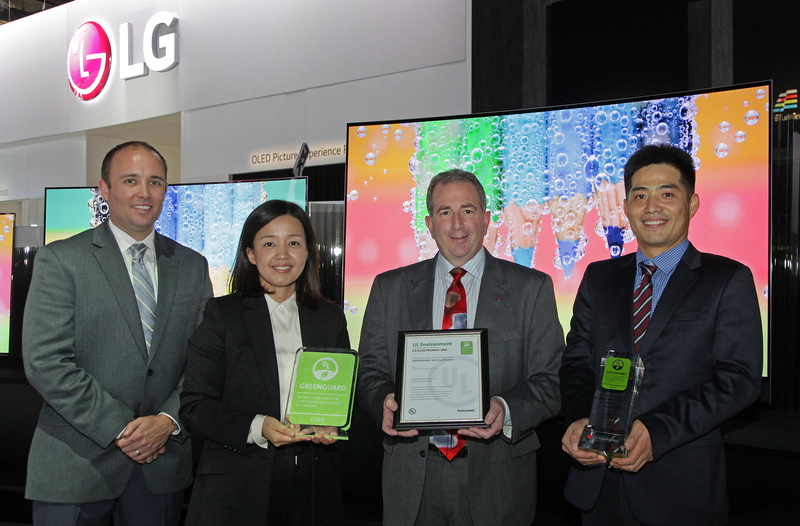 As part of its effort to set a new precedent for television manufacturers to help bring safer and healthier products to market, LG’s new 4K ULTRA HD OLED TVs have obtained coveted GREENGUARD Certification from UL Environment in 2015. In order for you to be fully aware of the environmental impact of LG products and the company’s unwavering commitment to improving our living and working environments, we would like to give you an overview of LG Electronics’ environmental vision. Announced at the 2015 International CES, LG’s 55-, 65- and 77-inch class 4K ULTRA HD OLED TVs have received the coveted GREENGUARD Certification. This noteworthy achievement is not surprising as LG’s 55-inch class 2014 OLED model was the first TV in the world to be GREENGUARD certified. Now, with nine additional OLED TV models to be certified, LG Electronics ushers in 2015 as the only manufacturer to achieve both the highest TV performance and indoor air quality. 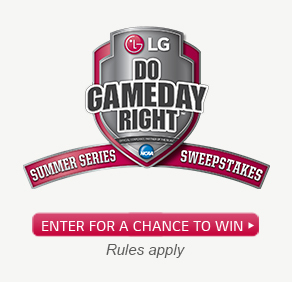 UL Environment is a business division of UL (Underwriters Laboratories) dedicated to helping companies like LG Electronics effectively communicate their environmental goals. The GREENGUARD Certification is granted only after a series of product emissions tests are completed. Products must meet some of the world’s most rigorous and comprehensive limits for low emissions of volatile organic compounds (VOCs) into indoor environments. Completion of the certification gives assurance that products designed for use in indoor spaces meet strict chemical emissions limits, which contribute to the creation of healthier interiors. LG Electronics’ GREENGUARD Certification is only one example of its green innovations and effort to practice environmental management throughout the life-cycle from development and purchasing and use to disposal. LG Electronics is not only focusing on developing innovative technology and products, the company will continue its leadership role in contributing to more sustainable communities around the world.